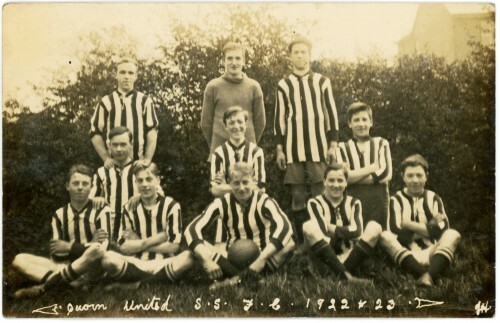 Taken in 1923, this extremely clear photograph shows Quorn United Sunday School Football Club. The Sunday School league was disbanded in the 1930s. Can anyone put names to the faces? Missing information: Can you identify anyone in this photograph?